Mitfit recently announced Vapor 2. Now the new smartwatch with built-in heart rate monitor and GPS has been available. Want to learn more about the wearable? Let’s keep checking. Mitfit Vapor 2 is the successor to original Vapor smartwatch, and it comes in two sizes (41mm and 46mm) to fit for more wrist sizes. As we can see from the images, the smart wearable shows off an elegant and minimal appearance design, and the ultra narrow bezel adds more stylish aesthetics to the classic watch design. Meanwhile, three optional colors and interchangeable watchband allow it to meet more personal preferences. 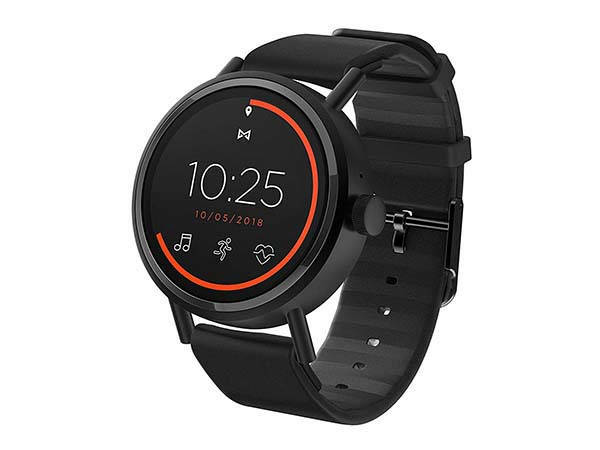 With built-in Bluetooth and WiFi connectivity, the smartwatch wirelessly communicates with your iPhone with iOS 9.3+ or Android phone with Android OS 4.4+, so you can conveniently answer incoming calls, check text, and receive app notifications on your wrist, and the circular touchscreen not only provides intuitive touch control, but also delivers customizable watch faces for a personalized look. 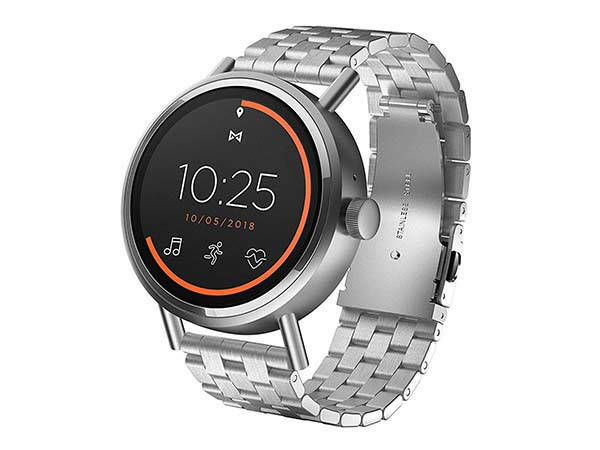 Furthermore, the smartwatch runs Wear OS by Google so that you can download more apps based on your demands. And using built-in microphone, you can also access to integrated Google Assistant, and it supports NFC Google Pay. Moreover, the Vapor 2 works as a smart fitness tracker that tracks your daily activity, and built-in GPS allows you to keep tabs on your workout and progress via measuring speed, distance, elevation and time, even when you leave your phone behind, while integrated heart rate monitor tracks your heart rate for more accurate activity tracking data. In addition, the swimproof design allows it to fit for shallow swimming. Other features also include Qualcomm Snapdragon Wear 2100 processor, 4GB internal storage, 512MB RAM, and 300/330mAh rechargeable battery for all day battery life between charges. 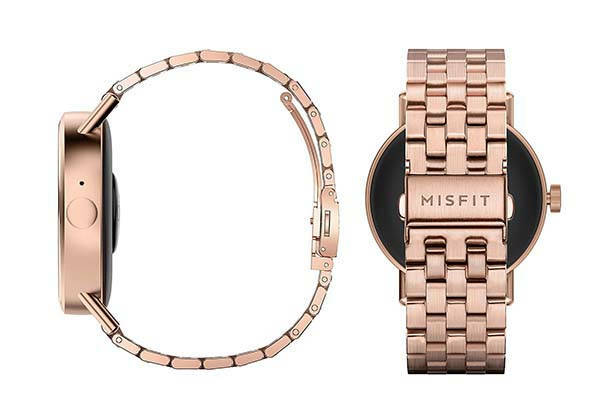 Misfit Vapor 2 smartwatch is priced at $249.99 USD. If you’re interested, jump to the product page (Rose Gold Pink, Silver) for its more details.